Our Eco-Strip door has proved itself to be extreemely versatile on different premises. Equally, it is ideal as a temporary door on temporary buildings. It is perfect for letting natural light in; furthermore it is very useful for keeping the weather out. In addition, the Eco-Strip Door can be run on a 240v plug socket; In other words, it is ideal for a domestic situation. 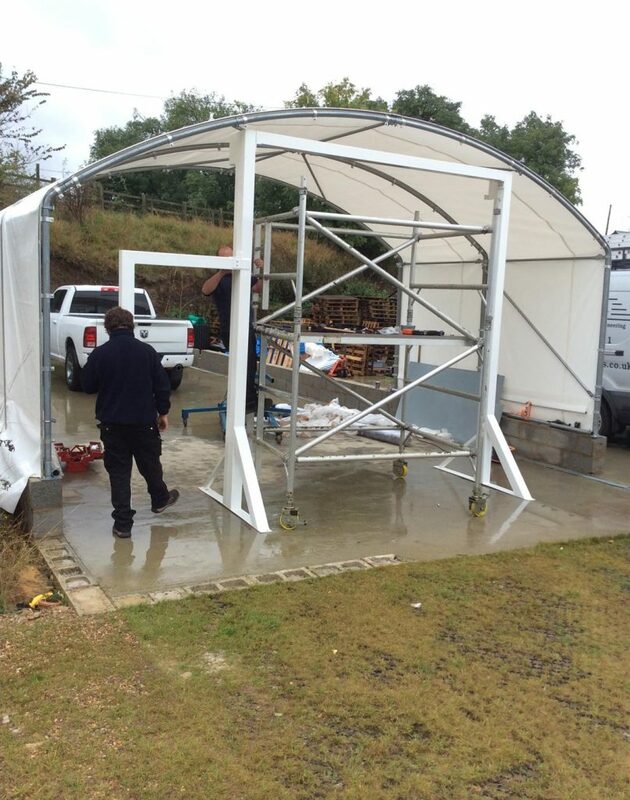 We devised this stand alone design to accomodate the customers' needs for a temporary garage. 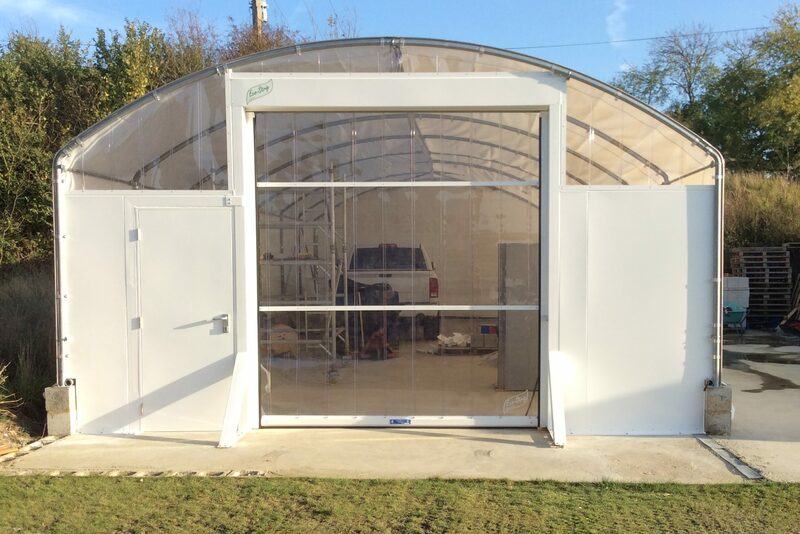 Eco-Strip Speed and Personnel Door installation, complete with clear PVC Infill panels. All in all, a fully functional temporary building. 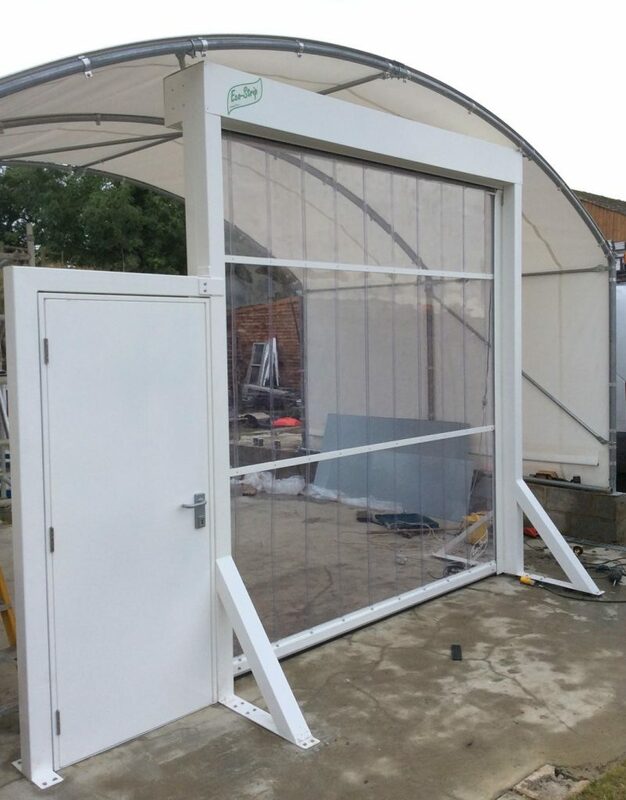 Could the Eco-Strip Door be useful at your premises? Contact Us for advice and a no obligation quotation; alternatively complete our Detailed Enquiry Form.